Hold down the low end with the X Series Concert™ Bass CBXNTM IV, a highly versatile bass designed for one express purpose—bringing the thunder to your music. Upgraded electronics, classically brutal style and fast, efficient playability make this entry into the lineup a fundamental force to be reckoned with. 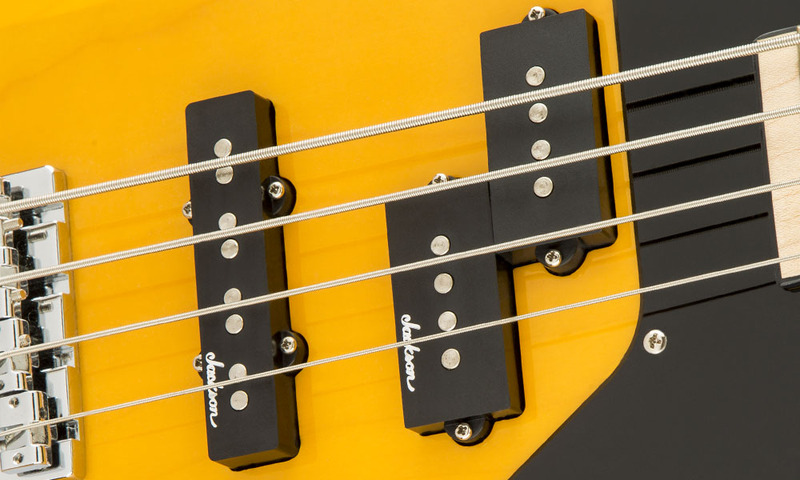 Perfect for metal—or other styles that demand low, punchy bass—this instrument is an unbelievable value. This 34” scale bass features a poplar body and a one-piece maple neck-through-body design that generates formidable sustain. The speed neck contour, 12"-16" compound radius bound maple fingerboard and 24 jumbo frets make for lightning-fast playability. The heart of this four-string beast is a Jackson® J-style bridge pickup and Jackson P-style neck pickup, mated to an active 3-band EQ circuit for adding punch, cut, rumble or grunt to your sound. 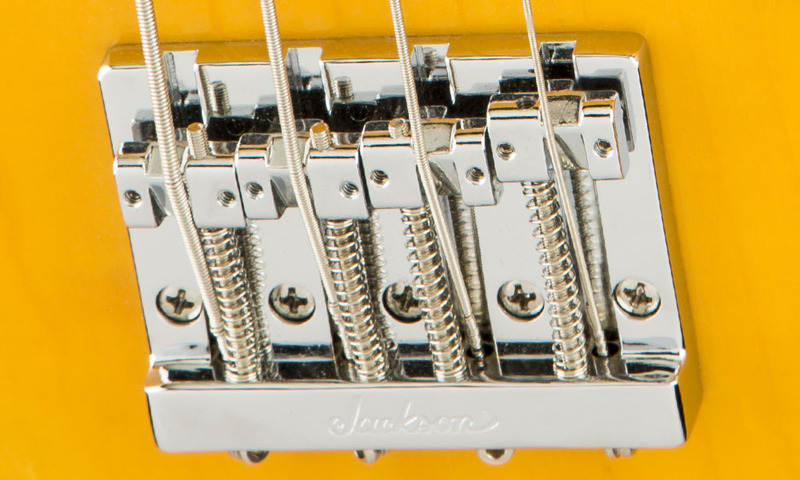 A Jackson HiMass™ bridge enhances note attack and sustain without altering your carefully crafted tone while the sealed die-cast tuning machines keep the strings in tune, no matter how hard you dig into them. Available in a rich Butterscotch or pure Snow White finish, its chrome hardware, black pickguard, black block inlays and the famous pointed 4-in-line headstock create a distinguished look that’s simultaneously classic and current. Highly affordable, the CBXNTM IV is the perfect weapon for the musician who requires nothing less than the latest in high-performance bass technology.